The Plexar is a high powered pen style kit, powered with up to 100W and powered by a replaceable 20700 or 18650 battery. Optimized for use withwith Scion Plex3D 0.14Ω Kanthal coils, the Plexar will bring your vape experience to the next level with some great flavor and cloud production from such a compact device. Advanced Plex3d tech uses less power for more puffs per charge and delivers maximum performance from the Plex3D coils. 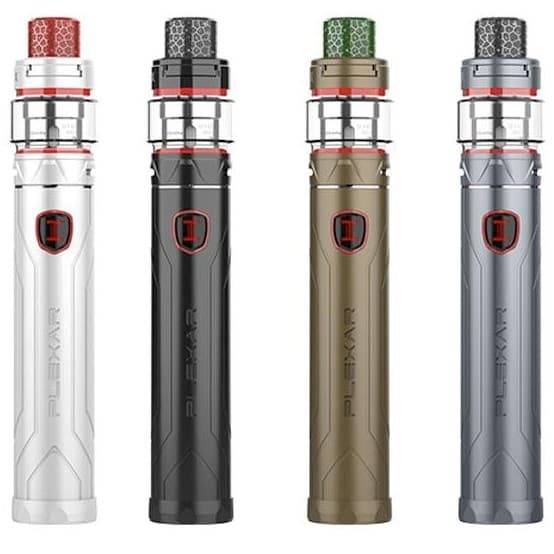 The Plex Tank features is easy to top-fill with full adjustable airflow with a 2ml tank capacity. The matching 810 Honeycomb Resin drip-tip is replaceable for even more customization.